Suburban sprawl, also called urban sprawl, is the spread of urbanized areas into the rural landscape. It can be recognized by low-density single-family homes and new road networks spreading into the wild lands and agricultural fields outside of cities. As the popularity of single-family houses rose during the 20th century, and as mass ownership of cars allowed people to get to homes located far outside of city centers, new streets spread outwards to serve large housing subdivisions. Subdivisions built in the 1940s and 1950s consisted of relatively small homes built on small lots. Over the next few decades, the average house size increased, and so did the lot they were built on. Single-family homes in the United States are now on average twice the size of those inhabited in 1950. One or two-acre lots are now common and many subdivisions now offer homes each built on 5 or 10 acres — some housing developments in the western US even boast lots 25 acres in size. This trend leads to a hungry demand for land, accelerating road construction, and further spilling into fields, grasslands, forests, and other wild lands. Smart Growth America ranked US cities along criteria of compactness and connectivity and found that the most sprawling large cities were Atlanta (GA), Prescott (AZ), Nashville (TN), Baton Rouge (LA), and Riverside-San Bernardino (CA). On the flip side, the least sprawling large cities were New York, San Francisco, and Miami which all have densely populated neighborhoods served by well-connected street systems allowing residents close access to living, working, and shopping areas. In the context of land use, suburban sprawl takes agricultural production off from fertile lands forever. Natural habitats like forests get fragmented, which has negative consequences for wildlife populations including loss of habitat and increased road mortality. Some animal species benefit from the fragmented landscapes: raccoons, skunks, and other small scavengers and predators thrive, driving down local bird populations. Deer become more abundant, facilitating the spread of deer tick and along with them, Lyme disease. Exotic plants are used in landscaping, but then become invasive. Extensive lawns require pesticides, herbicides, and fertilizers that contribute to nutrient pollution in nearby streams. The housing subdivisions making up most of the sprawl are generally built well away from industry, business, and other employment opportunities. As a result, people need to commute to their workplace, and since these suburbs are generally not well served by public transportation, commuting is most often done by car. When using fossil fuels, transportation is a major source of greenhouse gases, and because of its reliance on commuting by car, sprawl contributes to global climate change. Many municipal authorities are finding out that low density, large-lot suburban areas are a bum deal for them economically. The tax revenue from a relatively small number of residents may not be enough to support the construction and maintenance of the miles and miles of roads, sidewalks, sewer lines, and water pipes needed to service the scattered homes. Residents living in the denser, older neighborhoods elsewhere in town often need to essentially subsidize the infrastructure on the outskirts. 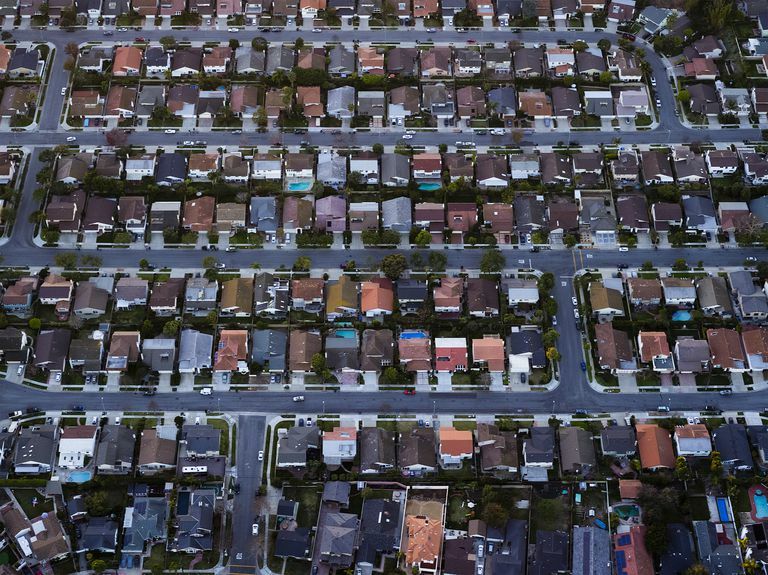 Negative health outcomes have also been attributed to living in suburban sprawl. Residents of outlying suburban areas are more likely to feel isolated from their community and be overweight, in part because of their reliance on cars for transportation. For the same reasons, fatal car accidents are most common for those who have longer commutes by car. Be a supporter of smart growth programs at the county and municipal levels. This includes programs that revitalize development in already built-up areas. Reinvesting in neglected city centers is part of the solution, as is taking care of an abandoned property. For example, an abandoned shopping mall can be turned into a medium-density housing development without the need for new water pipes, road access, or sewage lines. Support mixed-used development. People like to live in close proximity to where they can shop, recreate, and send their kids to school. Building these types of neighborhoods around public transportation hubs can create very desirable communities. Support your local land use planning efforts. Consider volunteering for the town’s planning board and advocate for smart growth. Attend fund-raising activities for your regional land trust, as they work hard to protect prime farmland, working waterfronts, exceptional wetlands, or intact forests. Support sensible transportation policies that complement smart growth. This includes affordable and dependable public transportation options, investments in maintaining the existing road network instead of expanding it, building bike paths, and developing programs to make business districts pleasant places to walk. Make a personal decision to live in a less environmentally impactful way. Choosing higher density housing can mean lower energy needs, a more active lifestyle, and proximity to work, interesting businesses, art venues, and a vibrant community. You will be able to fulfill most of your transportation needs by walking, bicycling, or public transit. In fact, in a comparison of the environmental virtues of city vs. rural living, urban dwellers have the edge. In a paradoxical but very understandable way, many people choose to move to low density, outlying suburban areas to be closer to nature. They feel that these large lots close to agricultural lands or forests would put them in close proximity to wildlife, with more birds visiting their feeders and ample opportunity for gardening. Perhaps this appreciation of nature makes them predisposed to finding other ways to reduce their carbon footprint. What Are the Top 6 Environmental Issues? Which Is Greenest, City Living or Country Living? 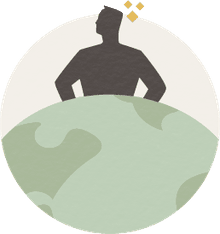 What Exactly Is Environmental Science? What Goes Into Planning Urban & Rural Communities?